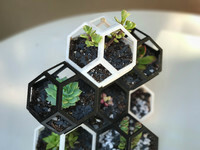 Robotic Gardening Planter Pot by lastchancegarage is licensed under the Creative Commons - Attribution license. Planter with built in soil moisture sensor housing and water dispersion trough. 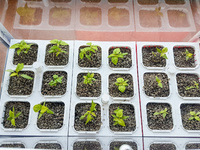 Connect it up to BionicCactus, a raspberrypi, or arduino and start your next robotic home gardening project. Available in 140mm and 100mm tall sizes. I recommend using PETG for increased water resistance. Say thanks by giving lastchancegarage a tip and help them continue to share amazing Things with the Thingiverse community. Say thanks and help lastchancegarage continue to share amazing Things with the Thingiverse community. You'll need a PayPal account to tip lastchancegarage. Click the button below and you will be redirected to PayPal. Once the payment is complete, you'll be brought back to Thingiverse.